If you wish to contact us by email with questions or for a call back to make an appointment, click here. For directions to our office and our office hours, click here. Schedule your appointment online below or call us: 1-646-663-4477. For last minute appointments, please call us. 47-50 St – Rockefeller Center Subway Station (1 block away). Trains stopping at this station: B, D, F and M). Times Square / 42nd St Subway Stop (4 blocks away). Trains stopping at this station: 1, 2, 3, 7, N, Q, R and W.
Grand Central Terminal / 42nd Street Subway Stop (4 blocks away). Trains stopping at this station: 5, 6, 7, S, and the Metro-North Railroad lines. Prior to the visit to New York Urology Specialists, we will ask you to fill out a comprehensive form about your past medical and surgical history and your symptoms. Our urologists will review all your medical information during your visit. You can be confident that all your medical information is kept confidential. When scheduling an appointment, please have referral forms and insurance information available to expedite the process. 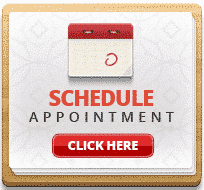 You can conveniently schedule appointments online or by phone. Medicare and most major insurance plans are accepted. We offer affordable rates for uninsured and self-insured patients as well as those with high-deductible plans. We routinely see international patients who require urological care. Dr. Alex speaks fluent English & Russian languages. We routinely see patients who speak Spanish with office assistants fully fluent in Spanish. We see patients who speak other languages as well. Please have an adult translator fluent in both English and your native language during the visit. The patient must be comfortable discussing very private issues and answering private questions via a translator. Usually, an unrelated translator is best. The physicians at New York Urology Specialists offer the most advanced diagnostics and innovative treatment options available in the office settings. When you need a hospital-based procedure or test, our affiliation with top NYC hospitals will assure you of the best care you can get. All surgeries are performed are performed at credentialed same-day surgery outpatient surgical centers or one of the top hospitals in New York City. We are affiliated with New York Presbyterian Methodist Hospital as well Maimonides Medical Center. Because of our affiliation with numerous top hospitals in NYC, you have a choice of where to get treatment should you require hospital care. We strive to make it easy and convenient to receive your care from our board-certified urologists. You can make appointments online, by phone or email. Please contact us if you have additional questions. Dr. Alex Shteynshlyuger ZocDoc profile is being replaced by this website. You can book your appointments on our website without the need for ZocDoc or yelp or equivalent appointment scheduling services.